Pretty much all of those who I’ve been especially drawn to and who have subsequently become my best friends over the years are FOODIES, which translates to something like this: when we’ve not long met and we meet ‘for coffee’ we find ourselves ooh-ing and ah-ing over the cakes and sharing a chocolate soufflé with ice cream. Then we meet on a Sunday in the only Irish pub in town that does a decent Sunday lunch (I’m talking as an expat here of course!) We chat for hours and enjoy our roast beef and Yorkshire pudding (a fabulous risen accompaniment to a traditional British Sunday roast made of something similar to pancake batter – seriously, it’s delicious when done well) so much that we mention it several times the next week and my friend convinces us (very easily) to go again the next week. Then when we go travelling together, to the Greek islands, to Eastern Europe, or to China and Thailand, forget the beach because it quickly ends up feeling like we’re on a food tour. We halve every dish so that we can compare notes on all the lovely tastes and basically get ridiculously excited about every mouthful! 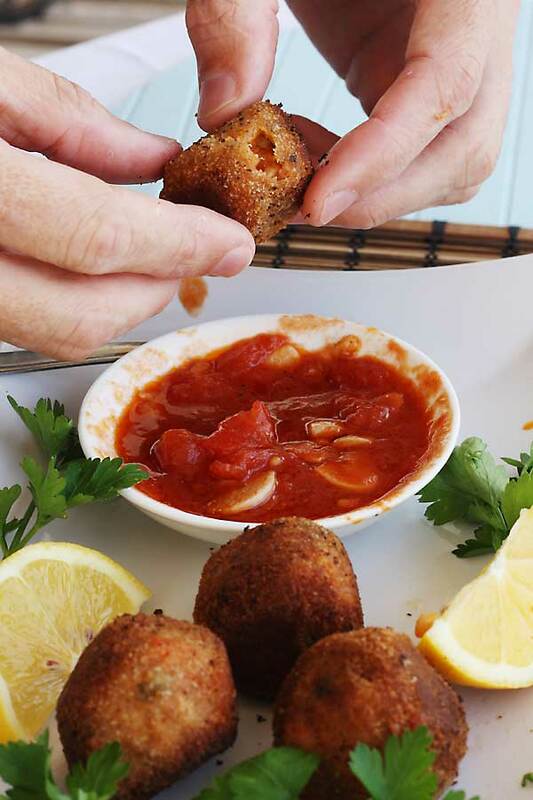 So onto the point, Helen … one recent ‘big hit’ were these leftover risotto arancini stuffed with oozy mozzarella and dipped in made-from-scratch marinara sauce. Although I say it myself, they were de-lish-ious and we couldn’t stop eating them until they were all gone. Even though we were about to go and have our ginormous plate of roast beef and Yorkshire pud with our friends. Yes, we are really big piggies sometimes. 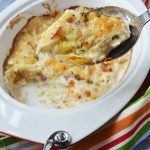 The great thing about these is that you can use any kind of leftover risotto you like, or really any kind of rice-heavy dish that you used a sticky kind of rice in. I actually used some leftover chicken paella-style rice that hadn’t gone down so well with Mr. Scrummy (I found out he isn’t the world’s greatest risotto fan … too gloopy!) Transformed into these little crispy, cheesy balls though he scoffed down just as many as I did, I can tell you! The next time I make risotto, even though I’ll probably be making it just for myself (sigh), I’m definitely making too much on purpose because these little beauties really are to die for. 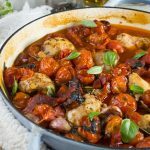 And they’re wonderfully easy, fantastic for that shamefully lazy cook I told you about in my sausage, sweet potato and orange tray-bake post last week. So all you have to do is roll up little balls of the risotto that’s been chilling out in the fridge, push a little cube of mozzarella into the centre of each, roll them in egg and then breadcrumbs, then fry them for a few minutes in a shallow layer of oil. Honestly, that’s it. 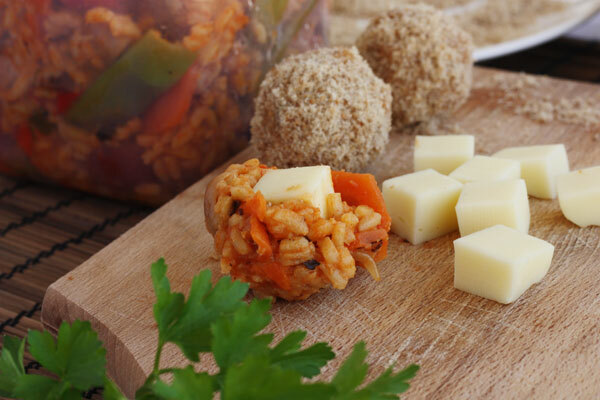 I figured out that the best way to assemble the arancini is to take smallish tablespoons of risotto mixture and roll it quickly in your hands to form a ball, then push your little cube of mozzarella inside and sort of mould the rice around it. It sounds tricky but it really isn’t. It’s best to try to keep them small because you don’t want them to burn in the pan before they get piping hot all the way through and the mozzarella gets all lovely and melty. Now let’s talk just a little about the marinara sauce! 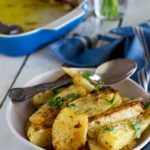 It’s seriously worth making this to go with your yummy risotto balls, especially as it only takes about 25 minutes, including 15 minutes of simmering. I promise you that this is one tasty, versatile sauce. 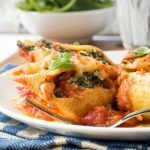 The recipe I’ve posted makes far too much so you can eat it over the following days as salsa to go with Mexican food, pizza topping, sauce for eggplant parmigiana, an easy and healthy sauce for grilled meat or fish or even (or especially) just stirred through pasta with a good sprinkle of parmesan cheese. We ate our leftover sauce (leftover risotto, now leftover sauce … it was like a virtuous circle of leftovers!) the next day exactly like this, stirred generously through spaghetti. It was so fabulous that it’s hard to believe it was essentially just tinned tomatoes enhanced by a few little additions and tweaks! So … getting down to business, I settled on something close to this recipe in the New York Times for my marinara sauce. This version (no onions) is traditional in the south of Italy, apparently, and the only ingredients you’ll need to make it are garlic, tinned tomatoes, really good quality olive oil (more than you would think sensible to add to a tomato sauce), and a single chili to ‘infuse’ into it as it cooks. 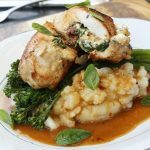 You can also add any fresh herbs you have to hand (particularly if you have some basil) to wilt and infuse in as well, removing them at the end of the cooking time. Oh, and I added a splash of balsamic vinegar towards the end and a sprinkle of sugar to sweeten things up slightly, but these steps aren’t at all essential. 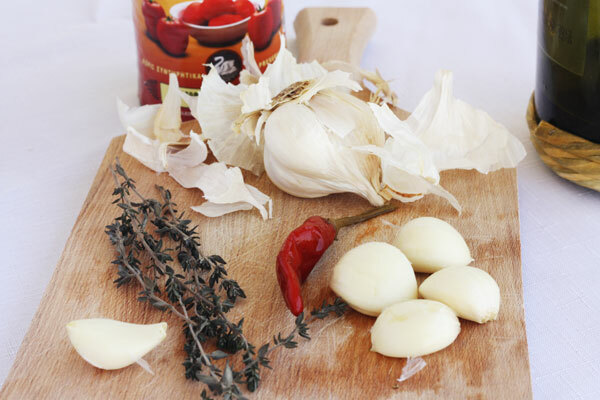 Just try to find really fresh garlic (I didn’t, alas, but never mind …) and the best quality whole tinned tomatoes in tomato juice that you can find. Apparently a can of good quality tomatoes in southern Italy are the standard to aim for if you can find them because they are grown in the fertile volcanic soil around Mount Vesuvius. I probably didn’t look hard enough, but I didn’t find any of these so I used a nice quality Greek brand of whole tomatoes in juice instead. Don’t quote me on this but I’ve read that cheaper tinned tomatoes that are already chopped could be bits chopped from tomatoes that were bad or damaged and couldn’t be sold. So better safe than sorry … I got the whole ones and smashed them up as I made the sauce! But then just now I read that it’s easier to ‘snip’ away at them with scissors while they’re still inside the can to break them up a bit more. For some reason that makes me laugh. I’m definitely doing it that way next time! 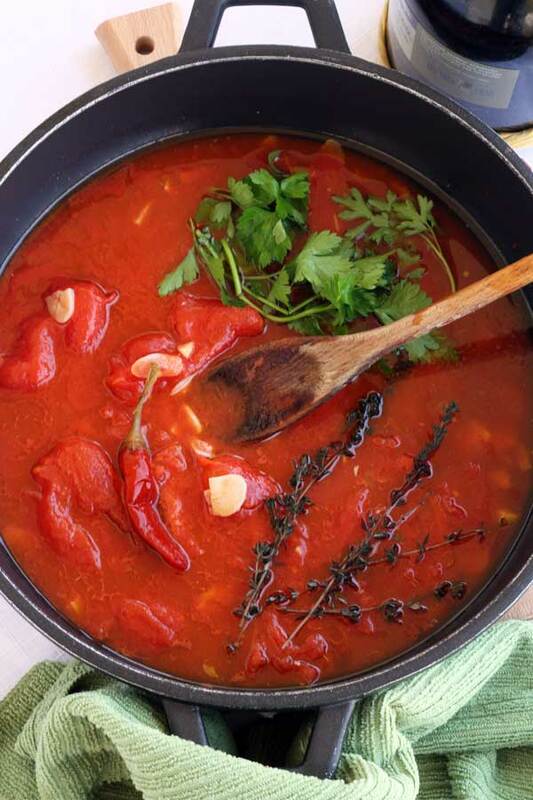 Not only is this rich deeply tomatoey sauce exceptionally tasty for something so simple, but it only needs about 20 minutes to cook up, including 15 minutes of simmering time. Bonus! 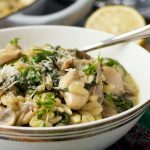 OK, well this post is getting much longer than I intended it to be, so it’s time to stop and let you rush off and cook up too much risotto so that you can make this wonderful appetizer. Or in our case pre-Sunday-lunch snack! Plus I’ve got a banana loaf to make – with a twist of course – coming up soon on the blog! Use up your leftover tasty risotto by stuffing little balls of it with mozzarella cheese, rolling them in breadcrumbs and frying them to a crispy, oozy deliciousness! 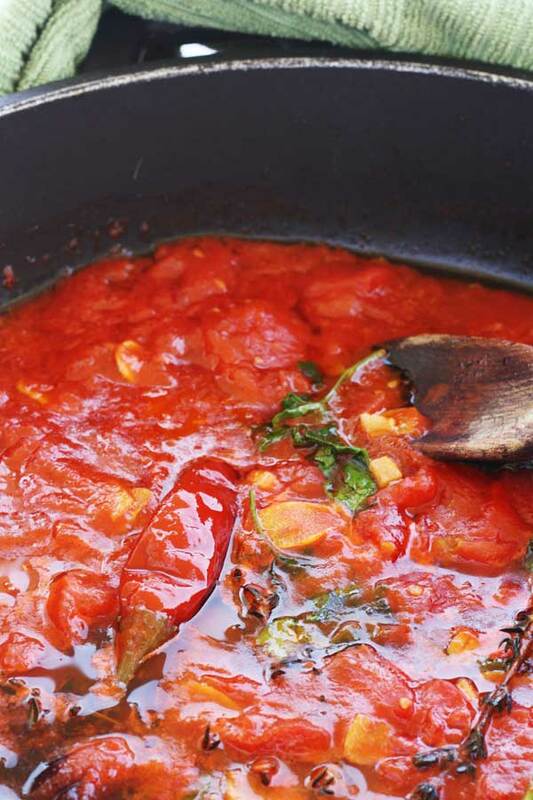 Serve them with this traditional Italian tomato-based marinara sauce and use up the leftover sauce on pizza, in pasta, in eggplant parmigiana or as a simple sauce for meat or fish. Delicious! Make your marinara sauce first. Crush the tomatoes by pouring them into a bowl and breaking them up in your hands or snipping them with scissors inside the can. Heat the oil in a skillet/frying pan with a fairly large surface area, then add the garlic. Cook until it's sizzling, making sure it doesn't brown, then add the tomatoes. Half fill the empty tomato can with water, swish it around and empty that into the pan, too. Add the chili, salt and any herbs you want to add, stir then let the pan of sauce simmer for about 15 minutes or until thickened and a layer of bright orange oil appears on the surface. Discard the chili and herbs, then add the balsamic vinegar and sugar if desired. 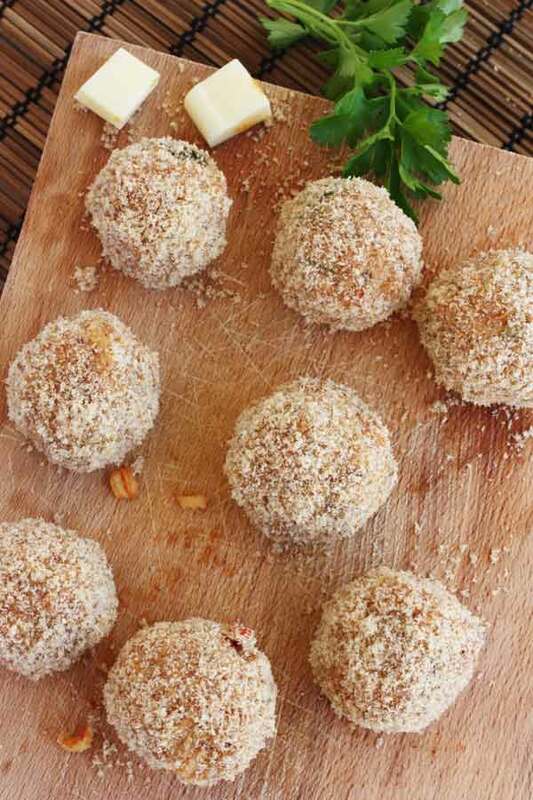 Take smallish tablespoons of your chilled leftover risotto and roll into balls. Push a square of mozzarella into each little ball and mould the rice back around it. 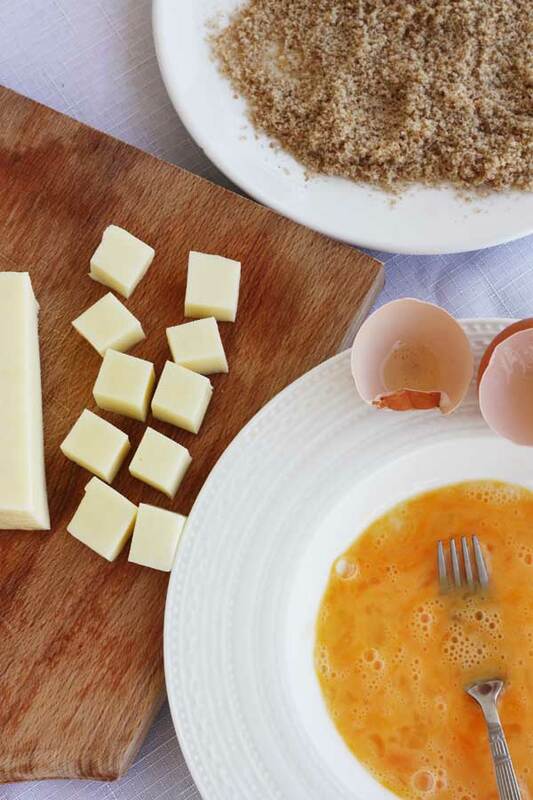 Roll each ball first in the egg then in the breadcrumbs. Heat the oil, then fry the little balls for a few minutes until nicely browned, turning regularly so that they crisp up well on all sides. 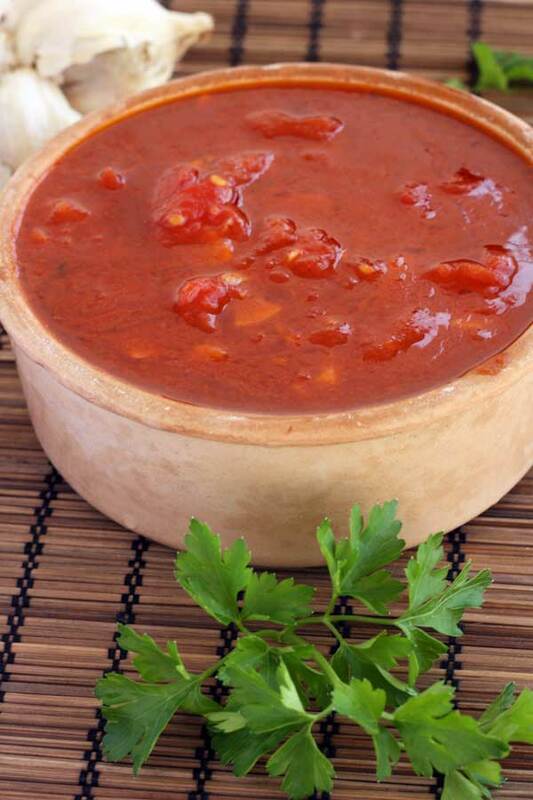 Serve immediately with plenty of fresh marinara sauce for dipping. Marinara sauce adapted from this recipe in the New York Times. I hope you enjoyed this post! 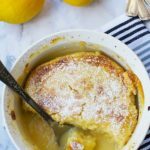 You can find more from Scrummy Lane on Facebook and Pinterest and you can also follow me on Bloglovin! Thanks so much for reading! Hello, Sofia! I’d ordered them a couple of times in restaurants and really loved them, so I was dying to try some myself! I’ll definitely be making them again. Let me know how you get on if you do try them! Oh Helen, I have been wanting to make this for a few weeks now and just have not found the right recipe until now. Will be making this very soon. Thanks! Mr. Scrummy sounds pretty lucky! Hehe … yes, I think he is! We’ve been scoffing banana loaf that I made for the blog all day today! I hope you do have a go at making this, Cheri. 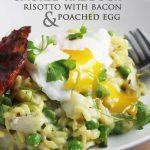 I haven’t included a recipe for risotto because I thought three recipes in one would have been a bit too much!! What I particularly liked about this though was the fact that the arancini don’t need to be deep fried. I hate all that leftover oil when you deep fry! These look so crispy and delicious! I’ve always wanted to do this with leftover risotto but we never seem to have enough left : ) haha oh well. And that marinara sauce looks awesome! yum! we always order arancini at our favorite pizzeria! yours are great! Thank you, Sarah and Arkadi! I’ve only just ‘discovered’ them. I think the star of the show here though was the sauce. Your friendly get togethers sound like mine! And I realized that I think I like risotto leftover almost more than fresh just so that I can use it for something better! These look SO good. I might have to make some this weekend. That’s what I’ve decided too, Chrissy! Let me know if you do try making them! Surrounding yourself with foodie friends is the only way to go! Otherwise, who will really appreciate all of this delicious food that you make?! 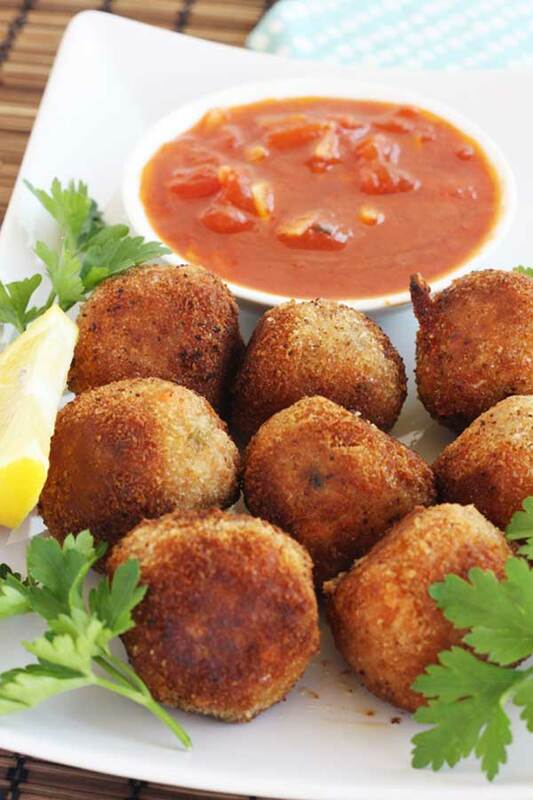 These arancini look great! YUM! That’s good to know I’m not the only one, Chris … I was beginning to feel like a freak … or at least a one-track-minded big piggy! Glad you like the arancini! Yum, Helen!! These looks and sound delicious! I happen to have some leftover rice that would love to become these little arancinis. Thanks! Ooh, that’s exciting that you have some rice all ready and waiting, Cindy! Go for it with the arancini … and let me know what you think! That’s interesting, Tina. I guess I thought that all ‘foodies’ were like me and ended up naturally attracting other ‘big piggies’ (sorry to any of my friends reading this, but you know what I mean hopefully!) Glad you liked the arancini. I’d been wanting to make them for a while too and am so glad I did. They really were delicious for not very much work at all. And I’d never made marinara sauce before either, or not properly like this anyway, and it will certainly be a staple from now on! 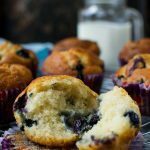 So glad I stumbled by your post today – foodie friends make life oh so much more tasty! Now, onto these “risotto arancini stuffed with oozy mozzarella”, I have never had stuffed and dipped arancini before – and these look fabulous! Totally delish! Hello Shashi! Thanks so much for passing by and commenting. It’s great to ‘meet’ you! As you could tell from my post, foodie friends do make life more tasty, that’s for sure! So glad you liked the idea of the arancini and I hope you give them a go some day! I totally know what you mean, foodies are good people, I think that’s why! I mean who else do you want to chat with about all the different kinds of flours there are? Loving these pretty snacks, I’d eat a bunch! I have been meaning to try making these rice balls, I’ll be bookmarking this recipe to remind me! Looks so good. I highly recommend giving them a go, Aimee. They’re so easy when you already have the risotto done but end up seeming quite impressive. But I warn you, they’re very addictive! 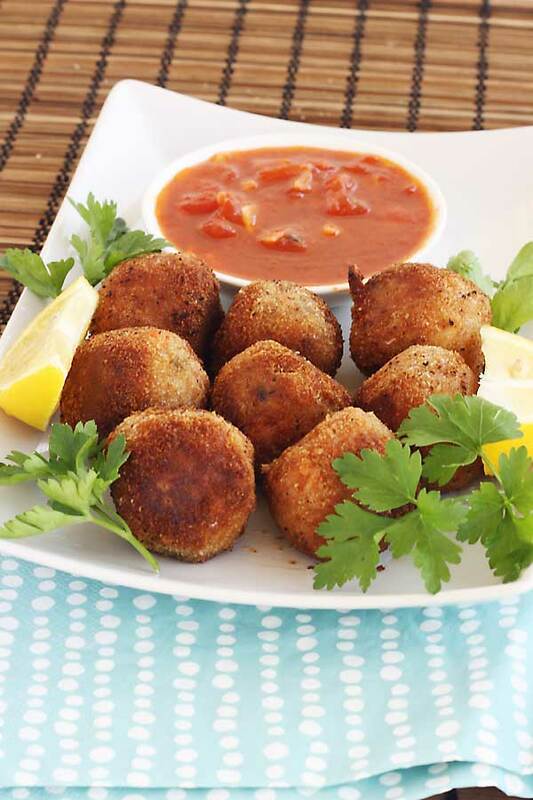 Arancini are on my bucket list…and yours look terrific!!! You have to get that one ticked off then, Liz. I highly recommend giving them a go, especially as they are so easy peasy! Thanks, Consuelo! I love being told that something I made is mindblowing-ly awesome!! Hello, Ashley! Thanks so much for passing by and commenting. These definitely made MY heart sing as I was scoffing them! The best thing was the crispy-ness in my opinion and the lovely contrast with the oozy mozzarella. Let me know if you ever have a go at them! Most of my friends are foodies too! I am obsessed and I think I am drawn to people who share my obsession… 🙂 These arancini look delicious!! 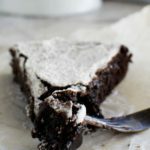 I love ordering these when I’m out to eat – I’ll have to try making them at home sometime! Phew … I’m not the only one then! I highly recommend trying these at home, Cate … they were super slurpy and tasty! Ooh, I so love arancini! Yours look so tempting with that oozy mozzarella inside. And that sauce! I love how you’ve infused it with a chili pepper. Yum! This is a novel idea to me!! I need to first try to have left over risotto and then make that amazing sauce of yours! Love this meal. Pinned!! Hello Zainab and thanks for the pin! I ate these a couple of times in restaurants and have wanted to make them ever since. They’ve definitely become one of my favourites but I hear you about the problem of having leftover risotto! It probably won’t happen that often! Thank you, Jessica! I’m really excited about ‘discovering’ these and I agree that homemade is the way to go. I hope you have a wonderful weekend, too! 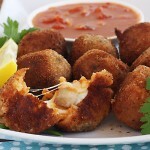 I’ve never had Arancini, but these look and sound wonderful! Yum! Thanks, Kaylee. They really are yum!